makepositive is an equal opportunities employer and takes pride in supporting campaigns aimed to improve the rights of all. In the first of our series of employee insights, we hear from former Royal Marine Ryan Nast, makepositive CRM Program Manager. An MBA from London Business School costs roughly £70,000. Most companies would fall over backwards for somebody that has invested in themselves to this extent. 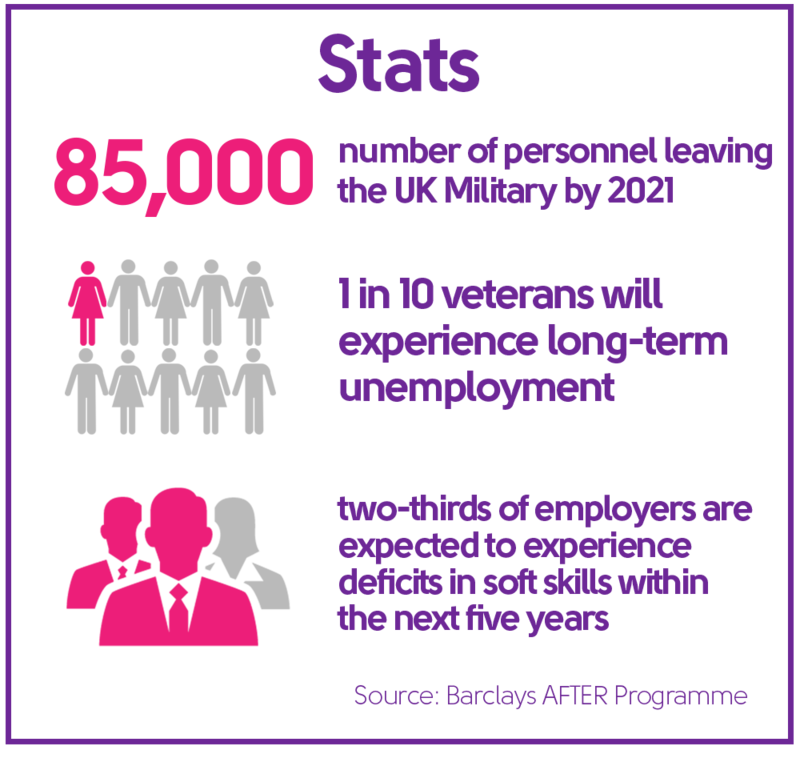 When you hire a veteran, it is most likely that well over £250k+ worth of leadership and management training PLUS operational validation would have been invested in each person. You will be very hard pushed to find that level of proven leadership expertise and exposure anywhere, in any market. Trust me, I’ve tried. Her Majesty has done the hard work, so you don’t have to. Vigorous selection processes employed by the Armed Forces are designed to select only the very best talent to work in the world’s toughest operational environments. Few, in fact nearly no roles in civilian life come close to the pressure that Armed Forces personnel get exposed to during their careers from a young age. For the employer, this means that you could hire someone who will remain calm and decisive when it really counts in your business, at all levels, whilst keeping staff around you calm in an office ‘crisis’. Fewer things are drummed in harder to Armed Forces recruits. If you want strong integrity from your leaders and employees then you are practically guaranteed this if you hire a veteran. When most people imagine life in the military, it conjures up images of Sergeant Majors screaming and shouting at spotty teenagers next to metal bunkbeds. This could not be further from the truth. Attention to detail, the sheer grit to keep going when things get tough and a sense of urgency when needed ... are traits that are etched into the souls of veterans. Attributes that can take most people a lifetime to master. In summary, nearly every former Armed Forces colleague of mine has excelled since leaving and their employers haven’t looked back since hiring! No comments on "Why hiring a veteran can be a serious advantage by Ryan Nast"